A recognized pioneer in law school diversity, John Marshall is proud to welcome its fall 2016 entering class, nearly 50% of whom self-identify as diverse, including 18% African-American and nearly 15% Hispanic. More than 60% of entering students are female. Last year, metrics reported by preLaw magazine rated John Marshall one of the most representatively diverse law schools in the nation. The law school has long made it its mission to offer access and opportunity to all qualified individuals seeking a legal education. John Marshall graduated its first female student in 1903, its first African-American student in 1904, and its first Hispanic student in 1912. 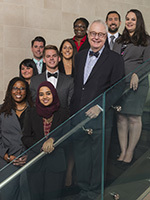 National Jurist magazine’s spring 2016 issue highlighted two of John Marshall’s online JD courses among its list of “10 out-of-the-ordinary summer classes.” These featured courses—eDiscovery, Digital Evidence & Computer Forensics and Health Care Reform Under the ACA—further expand John Marshall’s growing reputation as an innovator in online legal education and are just a few examples of our extensive list of online courses. Additional offerings this summer included Climate Change Law, Cyberspace Law, First Amendment Issues in the Digital Age, and Homeland Security, among others. John Marshall is seeking shared-revenue distance education partnerships with other law schools. For more information, you can review proposal details online or contact Associate Dean Anthony Niedwiecki at [email protected] or 312.987.2370. 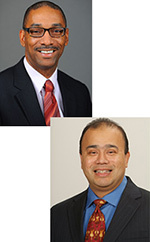 At a time when institutions are confronting questions of racial equality, John Marshall has named Troy Riddle as Chief Diversity & Inclusion Officer and Professor Art Acevedo as Director of Diversity & Inclusion for Faculty. In his position, Riddle will focus on developing new measures and programs to attract and retain students. Acevedo will ensure that faculty diversity goals are met, including increasing diversity among adjunct faculty and full-time faculty positions and ensuring best practices regarding diversity issues in the classroom. The appointments affirm John Marshall’s longstanding commitment to diversity. John Marshall’s Pro Bono Program & Clinic has launched a gender marker and name change project, the first of its kind in Illinois, to help people navigate the maze of local, state, and federal laws and rules required to change their names and gender markers on documents like drivers’ licenses, state identification cards, U.S. passports, and social security cards. Through the project, students work directly with Illinois residents needing assistance in changing their names and/or gender markers on government documents. The project is a partnership between John Marshall, Equality Illinois, and Seyfarth Shaw. Professor Daryl Lim, Director of the Center for Intellectual Property, Information & Privacy Law, was appointed to the American Antitrust Institute (AAI) Advisory Board. With this appointment, Lim joins a board of internationally renown professors and economists whose work influences policy at the highest levels of government and the law. 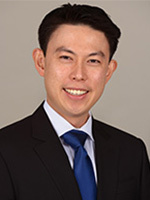 Lim recently spoke at the International Legal Forum in St. Petersburg, Russia, and at the International Competition Network Conference in Singapore. Professor Kim D. Chanbonpin has been installed as President of the Legal Writing Institute. As the new LWI President, Chanbonpin also becomes the first person of color to hold the office. 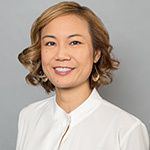 Chanbonpin, who is the Director of John Marshall’s Lawyering Skills Program, is also serving a three-year term on the Board of Governors for the Society of American Law Teachers. Additionally, she sits on the Illinois State Bar Association’s Criminal Justice Section Council and acts as its Secretary. Assistant Professor Lurene Contento’s appointment as Chair of the Association of Legal Writing Specialists has been extended through June 2018. Professor Marc Ginsberg, Director of the Center for Advocacy & Dispute Resolution, is serving as Professor-Reporter to the Illinois Supreme Court’s Committee on Illinois Evidence. Professor Sam Jones was appointed to the Chicago Innocence Center Board of Directors. Professor Jason Kilborn accepted an invitation to join the prestigious International Insolvency Institute, an invitation-only organization of leading bankruptcy and restructuring professionals. Professor Jamie Kleppetsch was named President of the Association of Academic Support Educators. Professor Ann Lousin, 2013–2014 Lee Chair in Constitutional Law, was awarded a fifth consecutive Illinois State Historical Society award for her scholarship. In June, the Armenian Bar Association established the “Ann M. Lousin Scholar of Law Award” in her honor, and in August, they appointed her as representative to the Advisory Committee for the ABA’s Rule of Law Initiative in Armenia. Assistant Professor Mary Nagel, Director of Externships, was appointed Professor-Reporter by the Illinois Supreme Court to the Civil Justice Committee of the Judicial Conference of Illinois. Professor Samuel Olken will serve as John Marshall’s 2016–2017 Lee Chair in Constitutional Law. Clinical Professor J. Damian Ortiz was reappointed to the Illinois Attorney Registration & Disciplinary Commission’s Hearing Board for an additional term. Professor Mark Wojcik is serving as Diversity Officer for the ABA’s Section of International Law, as well as a Member of the ISBA’s Human Rights Section and International & Immigration Law Section Councils. He is the President-Elect of Scribes.